Mexico's favorite Herdez mild green sauce or salsa verde, an authentic blend of tomatillos, onions, serrano chiles and spices. 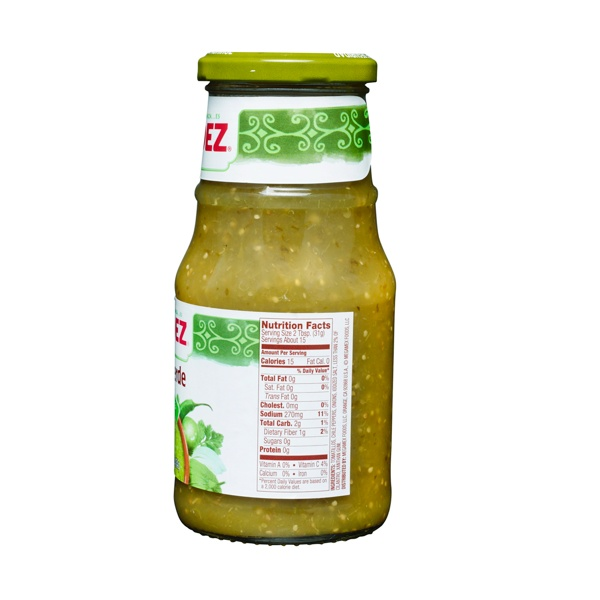 La salsa verde Herdez es la salsa verde favorita de Mexico con sabor poco picosa, tomatillos, cebolla, chiles serranos y especies. Homemade is obviously best, but this is very very close. So much flavour and layers. Not just a hot sauce. ConsDoesn't come in a bucket. ConsWould like it to be a little less expensive in bulk. Wow, mixed with your tomatio sauce this makes a wonderful easy chili verde with lots of debts! I have been using this salsa for YEARS! It used to be so hard to find. And only came in the small cans. I am so glad they are now sold in larger bottles. Now the stores can stop me clear their shelves of all the small cans. ProsNow available in larger size! I recently stumbled upon this salsa at my local grocery store. I love green salsa anyhow, but this stuff is my new favorite brand! This salsa is simply delicious. Much better than many other salsas regularly available at traditional supermarkets and it has become the only salsa I use. Order with confidence - you'll love it! Herdez! 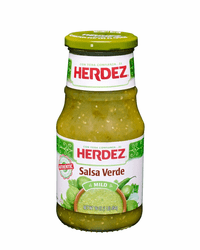 Herdez makes some good salsa! I love their casera salsa too. But salsa verde has to be my favorite. I love putting it on a lot of mexican dishes, but of course my favorite thing to put this delicious salsa is on some carne asada tacos! YEAH! jaja(: I love this salsa. soooooo goooodd. I loveeeeeeeeee this salsa it's the best thing to put on any mexican food.